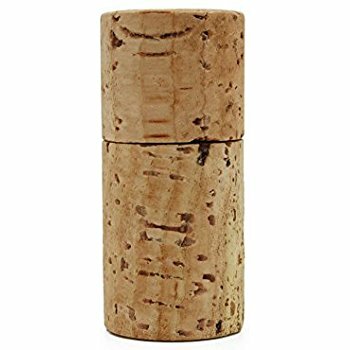 I have subsequently seen a number of consumers, and even some wineries, refer to the 2015 Cayuse corks as suffering from ‘cork taint.’ However, this is not the case. Although some people use the term cork taint – or simply ‘corked’ – very loosely to describe any one of a number of maladies that can affect wine, the term is used more specifically to describe wines that have a particular fault that can lead to objectionable aromas and flavors. The principal cause of cork taint is a compound called 2,4,6-trichloroanisole (TCA), although there are others. TCA gives the wine a smell and/or taste that is often described as musty, like wet newspaper or a moldy basement. This can be quite pronounced or quite faint. Sometimes the wine may just seem muted aromatically and clipped on the palate. In addition to being caused by the cork itself, the taint can be caused by a number of other factors, such as tainted oak barrels. Sensitivity to TCA varies dramatically. I have read that the most sensitive 5% is 200 times more sensitive than the least sensitive 5%. For this reason, when you have a corked bottle of wine, some people might smell the taint while others might not, even if they are trained professionals (I have seen this a number of times at distributor tastings). The reported incidence of cork taint varies. In my tastings for Wine Enthusiast in 2016, over 6% of the Washington wines I sampled that used cork closures appeared to be tainted (I say appear because the wines were not sent in to a laboratory for confirmation). While I will not run numbers for 2017 until the end of the year, anecdotally at least, the percentage seems to be lower. In past years, I have found the percentage to be as low as 3%, although to me this is still a completely unacceptable percentage. In addition to sporadic instances of cork taint, there are also occasionally systemic issues of various causes. Additionally, there can be bad lots of cork. For this reason, some wineries test each lot to try and ensure that there is no issue with TCA contamination. So, yes, the issue with the 2015 vintage Cayuse wines was due to the cork closures, and in this case, the problem was systemic, encompassing a staggering 2,995 cases as well as 2,678 magnums. But, no, the problem was not cork taint as we typically define it. Note: This post has been updated to fix a typo in the spelling of trichloroanisole. I am curious if there is an explanation for the paraffin and oily film blamed on the cork. Also, you might want to check the spelling of Trichloroanisole. Paraffin is used with the corks to help seal them better. My guess is that too much paraffin was used and it leached out of the cork and contaminated the wine. Given the situation, we may never have full details, but it's a fair guess. This has happened before, and to some people I know in Washington (although it's not exclusive to WA); albeit they were not as famous. The one person I know well had their entire vintage affected. Numerous professionals said the amount of particulate was in-line with normal levels, but it was not pretty to see this stuff floating around. While it may have been normal from a particulate perspective, the appearance did not match anything wine related. Too bad for Christophe but it shows how much he cares about his product, which his customers and fellow colleagues should greatly appreciate. I have seen this on other wines that have gone on to become insurance claims. The basic issue is the paraffin coating applied to the corks is either too thick or has a clotting issue. Once the cork is inserted into the wines the paraffin on the surface exposed to the wine flakes off and gives the wine the presence of wax and oil. It is worth noting that this is purely a cosmetic issue and that the decision to write off the wine is one being made to fend off consumer criticism that might be considered detrimental to the long term goals of the brand. Wines where there is excess paraffin flaking off are still sound and as good as the wine would have been had the issue not presented itself. If you were to pour the wine through a screen to remove sediment you would have a perfectly good wine. 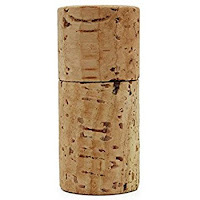 This is entirely an error in the final stage of the cork manufacturing process, and one that should in no way be associated with what we have come to know as cork taint. Still curious - paraffin will not leave an oily residue. It will always be solid, so the "oil" must be a separate substance. I bottle a lot of wine myself and spoke to a couple of bottlers and none of them have ever experienced an oily residue - just excessive paraffin particulate on rare occassions. yoka koch, thank you for catching the typo on trichloroanisole. See thoughts above from other commenters regarding the presence of paraffin. Silicone is used in combination with paraffin for coating corks. Maybe excessive silicone could the oily component. Cayuse customers must pay for their wine a year in advance. Now they must wait for an insurance claim to receive a refund. Tony Marshall, it came very quickly and with interest.